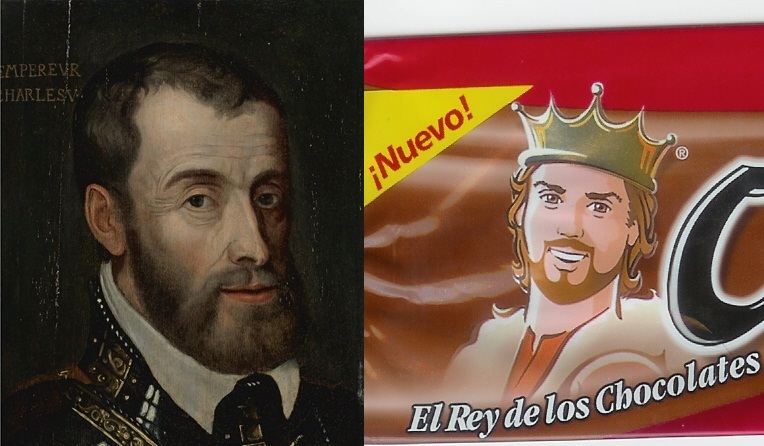 There's a brand of chocolate bar that circulates in the confectionery market of Mexico called "Carlos V". It's not named after a member of the former Mexican monarchy (Mexico used to be, rather ironically, an empire after gaining independence from its Spanish overlords in the 1820s), but rather Charles V of Habsburg, Holy Roman Emperor and King of Spain (as Charles I) during the first half of the 16th Century and the man who reigned over Spain's conquest of Central America. 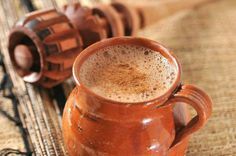 When the conquistador Hernan Cortes added the territory of the Mesoamericans to the burgeoning Spanish Empire in the 1520s he introduced his king to the newly discovered wonders of cocoa. It gained popularity in the Spanish court, and was then introduced to the courts of Germany (which Charles also ruled over in his office as Emperor) from where all of Europe begun to get a taste for it. As a result of this, Charles V, as well as being the most powerful man in Europe for three decades, is also best remembered as the man who introduced chocolate to us, and this legacy of his is preserved on the shelves of convenience stores across Mexico in a chocolate bar that pays homage to him as "El Rey de los Chocolates" - The King of Chocolates. IMHO, Mexican retail chocolate bars leave much to be desired considering it's the home of chocolate. Not much different than anywhere else. But you can still get hand-made chocolate in the street markets that is really something else. Having said that, I wouldn't turn my nose up at any of the retail drinking chocolates. A friend had a gig in DF and asked if I wanted anything to bring back. A box of Abuelita drinking chocolate is all I desired - now bought out by Nestle. Well I was careful to not actually endorse Carlos V. I've never had it myself but it doesn't strike me as being a particularly interesting chocolate bar. I think it makes the whole thing even better really; a chocolate bar named after a man who ruled over half of Europe and headed the most powerful family of the era, and it's not even that great. -and the likeness on the wrapper is appalling. Probably turns out that Charles V introduced burgers to Europe as well.